This is Brennen's 3rd studio album. Simply put, she is the best new roots/Americana artist I've heard in years. Think Emmylou Harris with a Patsy Cline twang in her voice. Brennen wrote nine of the 15 tracks herself and there isn't a weak track on the entire CD The lead track, "Desperately Alone" sounds like one of Loretta Lynn's #1's from the mid 60's. Other standouts are "Like a Freight Train", "Waitin out the Rain" & "Give it up to Jesus". "Don't let go that rail, John" with the Johnny Cash style recitation from James Hand is another gem. My personal favorite is "Mountainside" which reminds me of one of those Gordon Lightfoot story songs from his United Artists days. 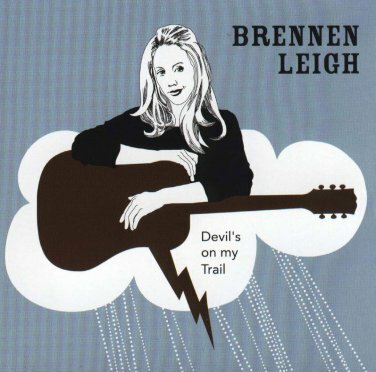 Brennen has gotten a little national attention of late on the strength of her duets CD with Jesse Dayton, but I highly recommend any of her solo CD's. They may be a little hard to find but are well worth seeking out. Fans of REAL country need to support this kind of talent.